Born on July 1, 1961, in Birmingham, Alabama, Frederick Carlton Lewis is the son of two star athletes who attended Tuskegee Institute. His father, Bill, ran track and played football; his mother, Evelyn, was a world-class hurdler (a runner who jumps over a series of hurdles) who represented the United States at the 1951 Pan-American Games. By the time Carl, the third of four children, was born, his parents were coaching young athletes in track and field events. When Carl was still young, his family moved to Willingboro, New Jersey. There his parents worked as high school teachers and founded the Willingboro Track Club. Lewis was not as talented as his brothers and sister, and his parents encouraged him to pursue music lessons instead. He kept working and practicing the long jump in his back yard, determined to improve. Small and skinny, Lewis competed in track meets, losing far more than he won. Still, his dedication and confidence caught the eye of Jesse Owens himself at a meet in Philadelphia, Pennsylvania; Owens urged other children to follow the example of the "spunky little guy." When he graduated from Willingboro High School in 1979, Lewis was the top-ranked high school track athlete in the country. the United States' participation in the Games in protest of the Soviet Union's invasion of Afghanistan. Lewis kept his top national ranking in the long jump and the 100-meter dash at the 1981 National Collegiate Athletic Association (NCAA) indoor championships. He was the first athlete to win two events at an NCAA championship. In 1982 Lewis left the University of Houston to work at the Santa Monica Track Club in California. Coach Tellez continued to work closely with him. By 1983 Lewis had become a winner in four categories: long jump, 100-meter run, 200-meter run, and 400-meter relay. He won three gold medals at the track and field world championships in Helsinki, Finland, in 1983. During the early months of 1984 he set an indoor world record in the long jump. It appeared Lewis would return from the twenty-third Olympics covered with gold medals. Lewis's announcement that he would win four events in Los Angeles, California, in the 1984 Summer Olympics was viewed by many as arrogant, but he backed up his talk. He won the 100-meter sprint with a time of 9.99 seconds. His long jump effort of twenty-eight feet earned him a second gold. For his third, Lewis set an Olympic record with a 19.8-second run in the 200-meter race. Finally, he led the 400-meter relay team to an Olympic record victory at 37.83 seconds. Rather than being praised, Lewis was mocked by writers as "King Carl" for his brash predictions and for showing up late to press conferences. An endorsement contract (agreement to promote a company's products in return for money) with Nike was cancelled, and Lewis received no others in the United States, although in Europe and Japan he became a hero. Lewis continued to participate in indoor and outdoor track meets. In 1985 Canadian sprinter Ben Johnson (1961–) arrived on the scene, and he began to beat Lewis regularly in the 100-meter sprint. At the 1988 Olympic Games in Seoul, South Korea, Lewis ran second to Johnson, who won the 100-meter event in record time. Lewis was awarded the gold medal soon afterward when Johnson was found to have used steroids (illegal substances that improve athletic performance). Lewis earned a second gold in Seoul for the long jump, but his continued success did little to improve his popularity. Worse, Lewis himself was charged with steroid use by a former opponent. Lewis denied the charges and sued the magazine in which they were published; he also agreed to submit to drug tests after races. Lewis has never been linked to drug use by anything but rumor. By 1992 Lewis had won eight world championship gold medals and had owned the long jump for ten years. Age began to take its toll on him, however. He watched Mike Powell break Bob Beamon's outdoor long jump world record at the 1991 world championships in Tokyo, Japan. Lewis made four personal best jumps at the same meet but still could not beat Powell. At the 1992 Olympic trials, Lewis failed to make the cut for the 100-meter and 200-meter sprints. He did qualify for the long jump and the 400-meter relay, and a week later he discovered that he had been suffering from a sinus (a cavity in the skull connected to the nostrils) infection. Lewis experienced something at the 1992 Olympic trials that he had never received—total acceptance from an American crowd. He was given a standing ovation in New Orleans, Louisiana, as his second-place finish in the long jump qualified him for an Olympic berth. The admiration of fans came showering down in Barcelona, Spain, in 1992, when Lewis beat Powell in the long jump to earn his seventh gold medal and then anchored the 400-meter relay for his eighth. Following the 1992 Olympics, Lewis's performance began to decline, and by 1995 he was being beaten regularly by younger athletes. Still, Lewis participated in the 1996 Olympic trials and won a chance to compete in the long jump at the games in Atlanta, Georgia. He easily won his fourth straight gold in the event. With endorsement contracts from Panasonic, among others, and large personal appearance fees, he became a wealthy man and considered running for political office in Houston, Texas. In 1999 Lewis was named one of the century's greatest athletes at the Sports Illustrated 20th Century Sports Awards ceremony. In 2000 he said he still felt he could compete at the Olympic trials but would not do so until the problem of athletes using drugs was addressed. He still attended the games in Sydney, Australia, participating in a ceremony to honor the McDonald's Olympic Achievers, young people from around the world chosen for their success in school-work, athletics, and community service. 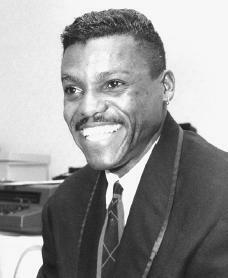 In December 2001 Lewis was elected to the National Track and Field Hall of Fame. He also tried acting, appearing in the 2002 television movie Atomic Twister. Eight of Lewis's Olympic gold medals are still in his possession. The ninth—his first, for the 100-meter sprint—was buried with his father Bill in May of 1988. "My father was most proud of the 100," Lewis revealed in the Philadelphia Daily News. "More than anything, he wanted me to win that medal.… Now he has it and he'll always have it." Coffey, Wayne. Carl Lewis. Woodbridge, CT: Blackbirch Press, 1993. Klots, Steve. Carl Lewis. New York: Chelsea House, 1995.
i serious like this passage about Carl Lewis because i also ran track.